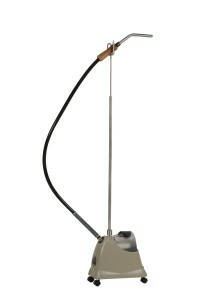 The J-2000 is the ideal steamer for home or light commercial use. These steamers offer a variety of applications including removing wrinkles in clothing, removing wallpaper, steaming bedding and table linens. 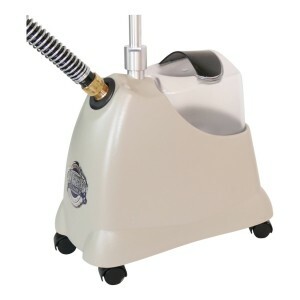 This steamer has a unique high-impact plastic housing for durability and wheels that swivel for mobility. The J-2000 heats up in just 2 minutes and will offer a 1.5 hours of steaming per filling with a convenient ¾ gallon water caddy that fits securely into the base of the steamer.